You have been hearing about them, now they are finally here! 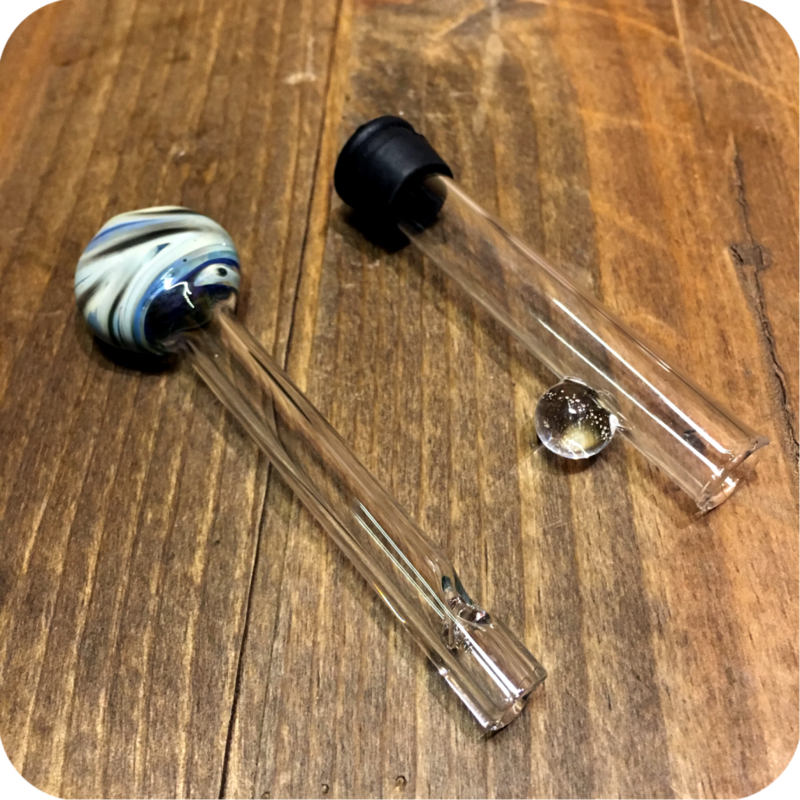 The Glass Blunt officially gets rid of the need for rolling papers or blunt wraps. No longer do you need to go to the store, or even learn how to roll. It is an investment that pays for itself soon enough once you factor in how much money is spent on papers or blunts over time. 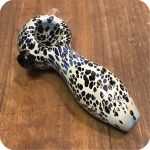 It is also a healthier alternative to smoke with glass as opposed to inhaling the tobacco leaf you get from real blunt wraps. 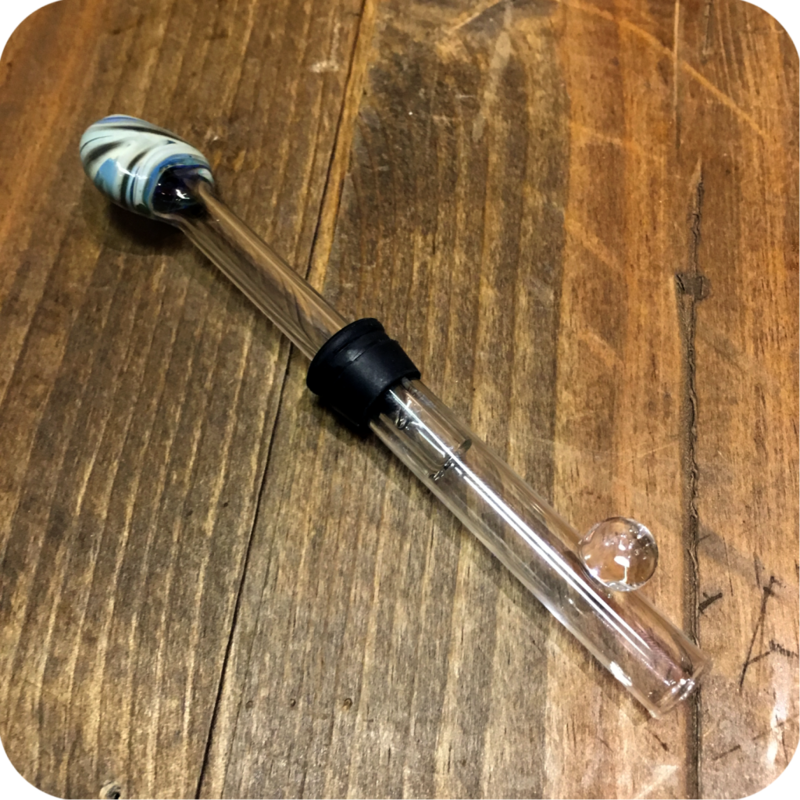 The Glass Blunt is incredibly easy to use even for most novice of smokers. 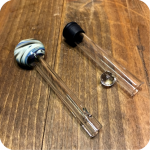 The glass blunt comes in two pieces: one being the mouthpiece, and the other being where your finely ground legal herb is packed. Both pieces are about four inches long, and very easy to keep cleaned and maintained. Just make sure to pack your ground herbs finely and evenly in the glass blunt to ensure a smooth smoke. Light it up, and your off to the races! 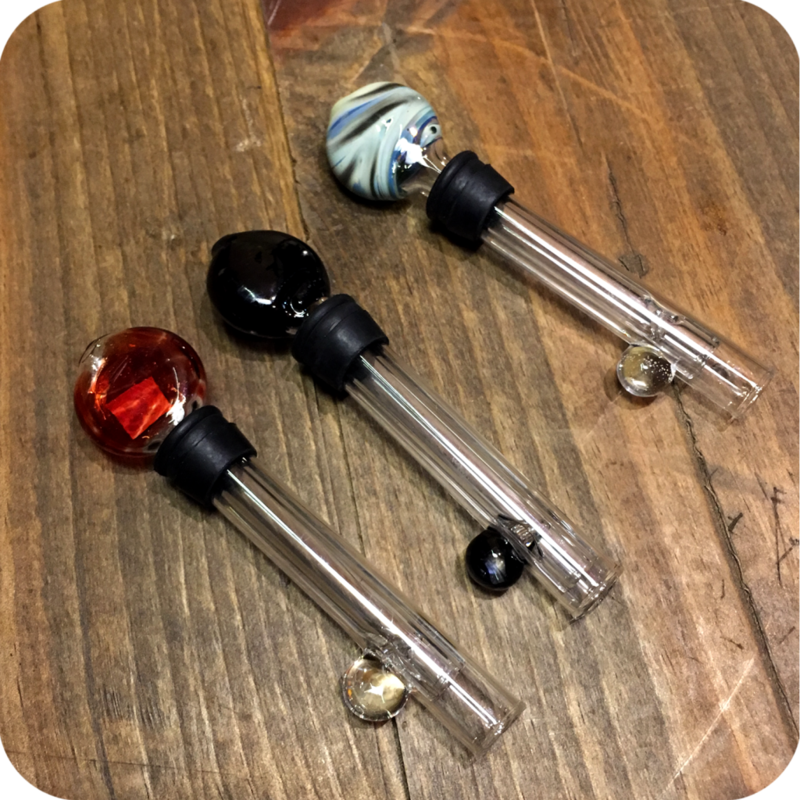 Push the mouthpiece end further in to ash your glass blunt as it burns. These glass blunts pair very nicely with I-Tal Hempwick made with all-natural hemp and organic beeswax. Hempwick is a healthier and cleaner alternate to directly inhaling and lighting up with a butane lighter. 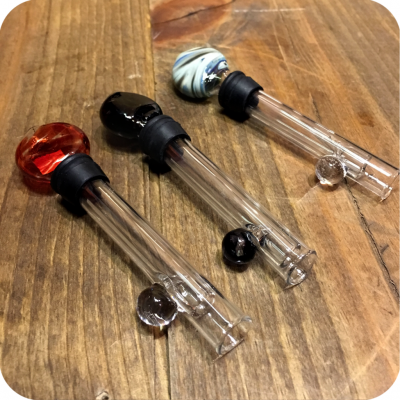 The mouthpiece on each glass blunt is decorated with a unique swirled striped pattern in a large variety of colors and styles. 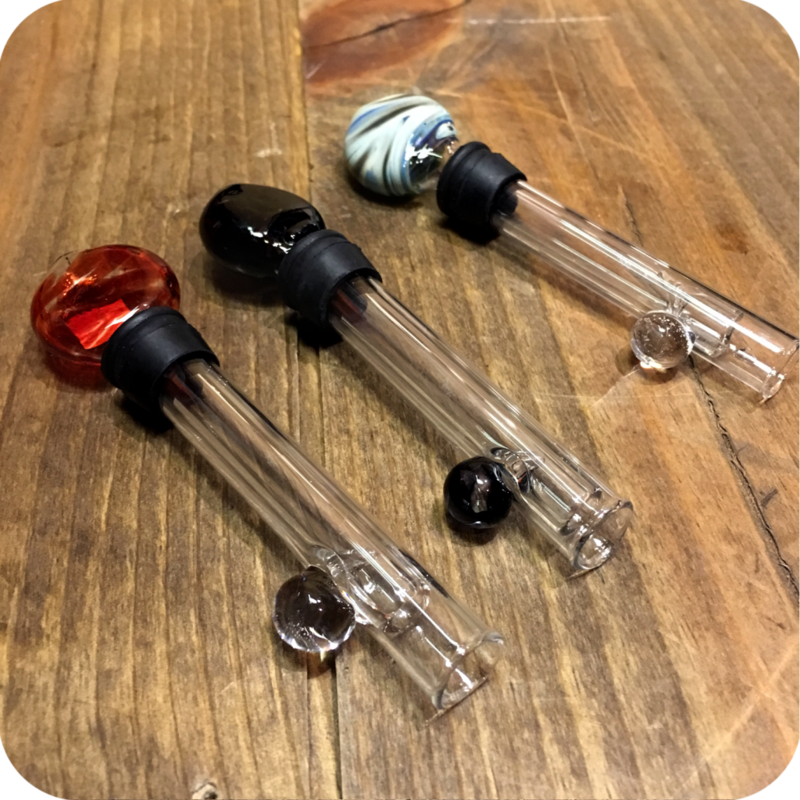 The outer layer of glass also features a glass bump (colored the same as the mouthpiece) for a convenient place to hold the piece while you push the mouthpiece further in. These colors range anywhere from: black, white, red, pink, blue, green, purple, yellow, red/green, and other swirls of color combinations. Let us know in the comments/notes section of your order if you have a color preference and we’ll try to match it as best we can! Otherwise we’ll just surprise you with a color that you’re guaranteed to love no matter what. 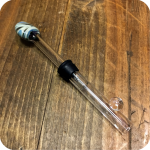 Step up your smoking game and impress your friends with this amazing glass blunt by ordering online here or swinging by either one of our three Brooklyn store locations! Tags: Brooklyn, brooklyn glass, brooklyn smoke shop, glass blunt, Glass Blunts, new york city, Sunflower Glass Company, Twisty Glass Blunt.